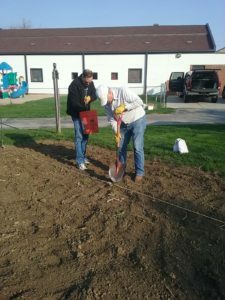 The Lord of Love Community Garden for 2017 started with the planting of potatoes on Thursday, April 13. Each year our garden bears much fruit! 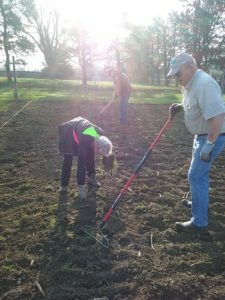 The help of many hands are needed to till, plant, weed, water, harvest, and deliver produce to local pantries. Help by anyone is welcom e.
Thanks so much to all those who help in any way. Throughout the season there are usually 1 or 2 work mornings each week. Early on these are for weeding and watering. 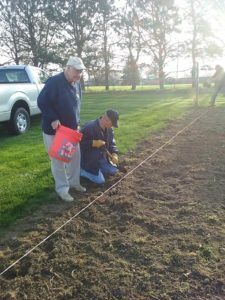 Later in the season will be time for harvesting and produce delivery. Thanks, especially to Doug A, Dale F, and Gary R for taking the produce to local Lutheran food pantries. Contact Deb L or Jeri M if you would be able to assist in this ministry. 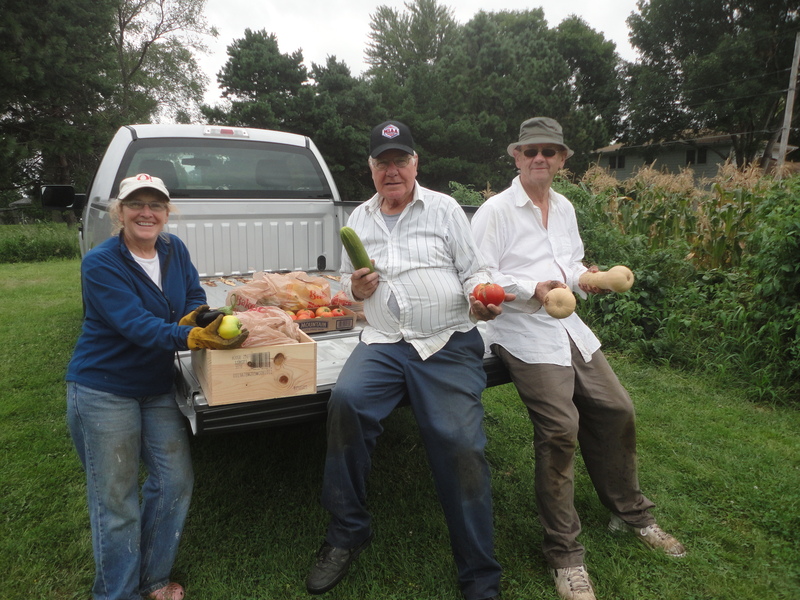 Some of the garden gurus show off the fruits of their labors.